Almost every restaurant that I’ve worked in has had a special house seasoning. They put it on virtually everything. I’ll spare you the colorful language that a kitchen full of prep-cooks and chefs use when referring to applying the seasoning to stuff, but suffice it to say, they love their house seasonings and they use them liberally and with enthusiasm. 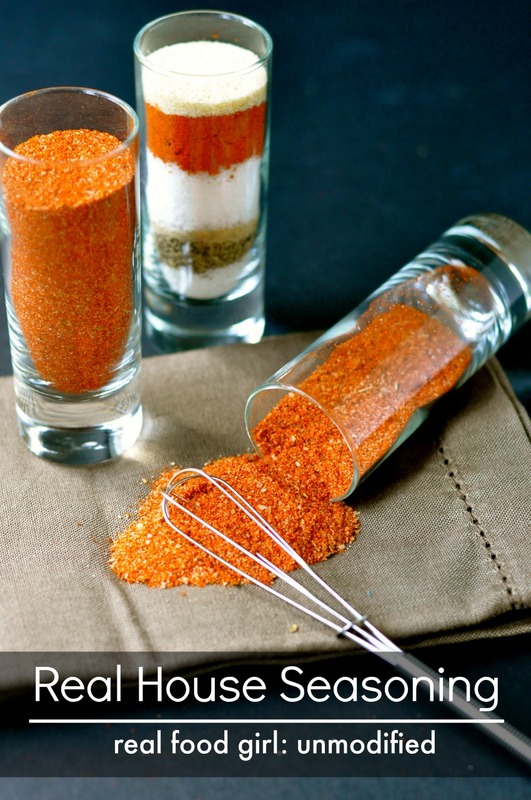 It got me to thinking- why don’t regular home cooks use house seasoning? 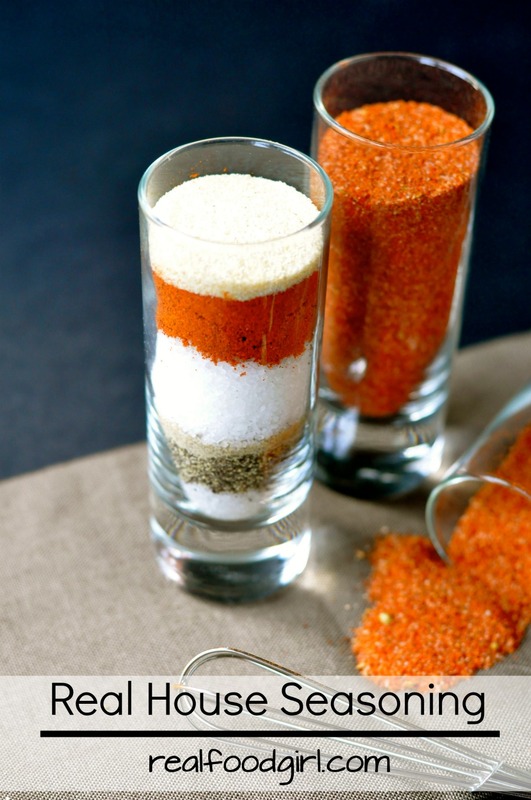 How much tastier would things be if we had a little house seasoning to sprinkle on things? Tinker Bell has Pixie Dust, and Emeril has his famous “Kick it up a Notch” spices, so why not something special for you guys? 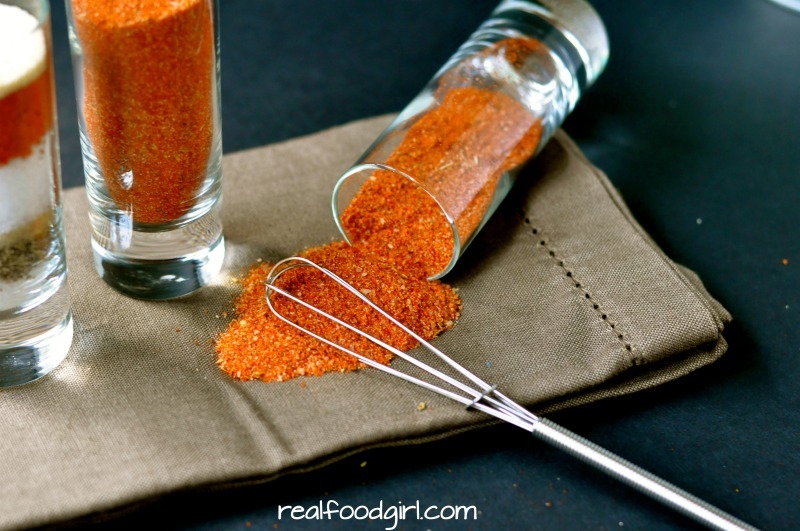 Enter my almost famous Real Food House Seasoning. It’s only almost famous because no one has heard of it yet. 😉 Yes, I realize that pretty much makes it not at all famous in any way, but I’m projecting that it will become almost famous in no time. That and if I were to write a post called Not Famous House Seasoning, y’all would be like “That Real Food Girl has gone and lost her mind!”. I’m really only thinking of you guys. You’re welcome. What exactly can you use this seasoning on? Oh, lots of things. You can sprinkle it on french fries, homemade chips, steaks, chicken, chops, burgers, veggies (think roasted cauliflower or asparagus)… but not ice cream or fruit. It doesn’t taste good on ice cream or fruit. I just ask you to trust me on that. My favorite way to enjoy this seasoning is on homemade potato chips, which I’ll be sharing next week on the blog so keep your eyes open. You’ll want some of this handy so you can dust your chips once you take them out of the hot oil. This seasoning makes the chips. No doubt about it. But be careful. It makes the chips addictive. Now you know why this Real Food House Seasoning is going to become almost famous. This seasoning will keep in an airtight container for about 1 month. I wouldn’t keep it longer than that because once you grind the pepper it loses a lot of its health benefits. It will easily last 3-4 months in a canning jar (It’s what I store mine in), but if you’re worried about your pepper losing it’s benefits, don’t keep it hanging around and use it up as quickly as possible. You can also just cut this recipe in half or thirds or better yet plan a meal where you’ll use a little bit on each component. Like sprinkle it in the ground beef for burgers and then add a little on top once they’re off the grill, add it to your fries or chips, and sprinkle some on corn on the cob. Tada! Then you don’t have to worry about storing any. I personally make about half a cup of this at a time (which is about what my recipe will yield, give or take) and use it up within a months time. It’s just that easy to use and that tasty on so many dishes that it goes pretty quickly around here. 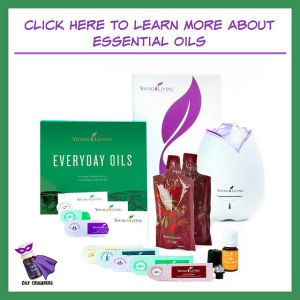 I can’t wait to hear about what you think of this and what you end up using it on! Please make sure that you’re using organic spices and herbs and make sure they are fresh. 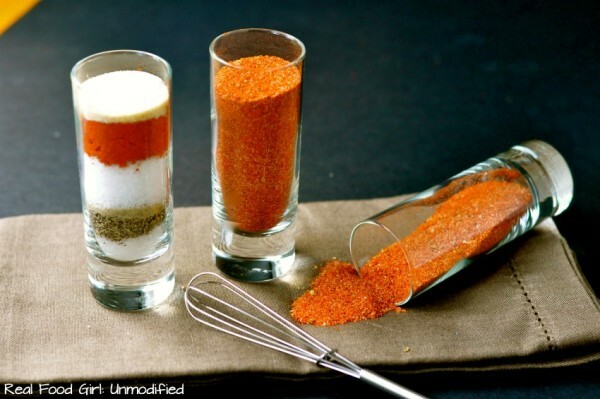 Stale spices just aren’t as tasty as ones that are fresh or from a brand new bottle. I’m curious, do you use a special seasoning when you cook? If so, do you make it yourself, or just use a pre-purchased seasoning salt? Share your answers below! Also, don’t forget to Pin, Tweet, Stumble and FB Share this with your friends!! A blend of secret herbs and spices that aren't really a secret. Also, there aren't any herbs in this recipe. In a small bowl add all ingredients and stir until combined. Store in an 8-ounce canning jar for up to 1 month away from heat and light, preferably in a cool, dark cupboard. Yes, this lasts for about 3 months before it starts to lose it's flavor, but mine never lasts that long.